AlphaZero lost only 6 games to Stockfish in a 1000-game series, winning 155 games and drawing the rest. 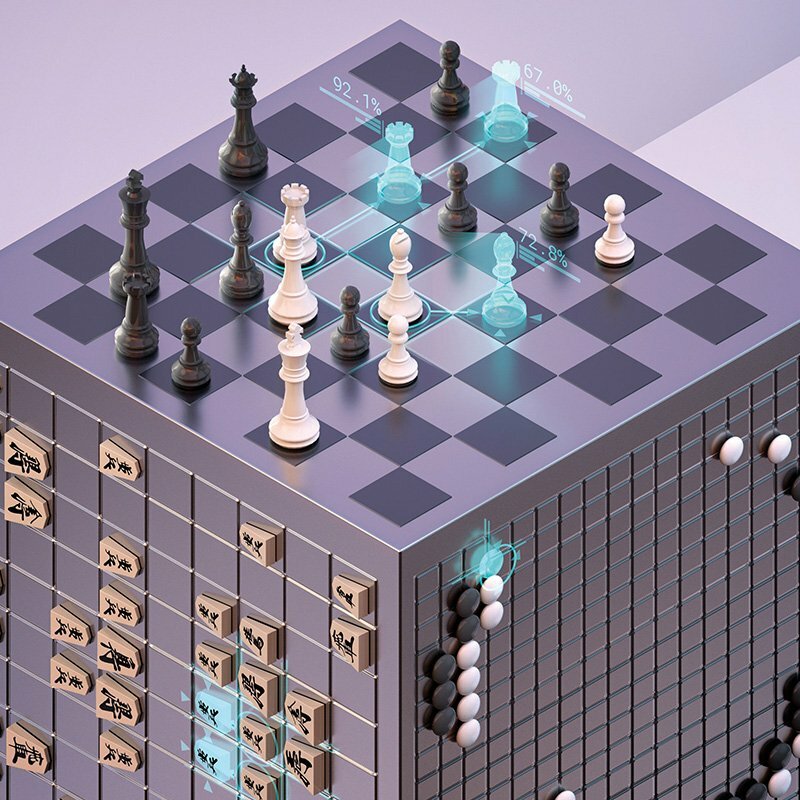 The crushing win sharpens the challenge of neural networks to traditional chess engines. What can computer chess fans conclude after reading these results? AlphaZero has solidfied its status as one of the elite chess players in the world. But the results are even more intriguing if you're following the ability of artificial intelligence to master general gameplay. According to the journal article, the updated AlphaZero algorithm is identical in three challenging games: chess, shogi, and go. This version of AlphaZero was able to beat the top computer players of all three games after just a few hours of self-training, starting from just the basic rules of the games. Another neural net-powered chess AI independently learned one of AlphaZero's distinctive strategies--advancing lone pawns to vulnerable but irritating positions in the endgame--suggesting that it might be "a critical winning strategy" for human players to emulate. This relaxing video shows a miniature chess set being made with rotary tools, lathes, saws and other equipment. It’s not quite a DIY guide, unless you already have a fabulous shop, but it definitely makes me want a nice chess set.